Mansfield continued their busiest week of the season, with their third track meet to host in a four day span. 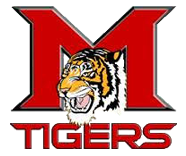 With 24 teams making their way to Tiger Stadium on March 28, the Mansfield junior high squads did well. Both teams finished among the top five in respective divisions, and also set a school record to highlight the evening. The Lady Tigers were pushing a very tight team race all night. Wins by Skylynn Harris in the shot and discus, plus a Sadie Roberts victory in the high jump kept them relevant from the beginning. Another victory in the 300m hurdles by Harleigh Mars later in the evening kept the team standings tight. Madelyn Jones and Shelby Cole kept the Mansfield junior girls track squad holding serve with high scores in the hurdles. Collectively, Jones, Cole, and Mars accounted for 29 points through the 100m and 300m style hurdle races. The boys were paced by freshman Ethan Chapman who ran three distance events and anchored the mile relay. Mansfield’s main cross country weapon actually established a new school record in the process. Despite finishing second in the 1600m run, Chapman’s time of 5:21.62 broke Manuel Uselton’s 13 year old record in the four lap race. Uselton’s mark of 5:42.12 was set back in 2006. The Tiger men were also fueled by high throws from Zayne Dugan and Shawn Brown. Dugan won the discus at 120’ 11” and Brown was second in the shot with a distance of 42’ 3”. Both were personal bests. Adding to the personal best parade were pole vaulters Steven Perez and Ashton Hinkle. Perez took fourth at the horizontal jump with a clearance of 10’ 0”. Hinkle increased to 9’ 0” for seventh place. Natalie Allison, McKenzie Griffin, Faith Rainwater, and Olivia Bouse produced in the women’s 4x800m relay. Allison also gave high marks in the triple jump with a distance of 28’ 9”. John Branche continued to shave seconds off his 400m time. A fourth place in that one lap sprint plus another one lap cooperation in the 4x400m relay gave the Tiger men 10 more points. Dru Buckner, Tommy Phang, and Chapman comprised the final relay with Branche. Waldron won the men championship with 116 points. DeQueen chased with 110 points to finish second. Ozark rallied with 101 tying Booneville for third place. Mansfield dropped to fifth with 65.5 points. DeQueen finished off the tight junior girls race with 116.5 points. Mena was runner-up at 101.5. Waldron was third with 99. Mansfield’s girls were within trophy grasp at 98 points. The Lady Tigers did win the specialty event of the night. The combination of Hailea Raines, Brooklyn Adams, Skylynn Harris, and Sarah Fisher won the “Honey Bun” relay. The honey bun was a 4x100m relay for thrower’s only.